Robert Witt joined TerraCap in June 2018 as an Asset Manager. 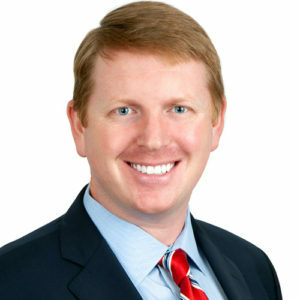 He will be responsible for supervising capital expenditure projects, leasing, and the strategic management for a portfolio of office and multi-family assets located in Atlanta, Georgia. Prior to joining TerraCap, Robert worked for 2 years at Trimont Real Estate Advisors where he managed a portfolio of more than $5 billion dollars focused mainly on large complex construction loan administration and servicing deals for institutional banks and private equity firms. Before making the transition to commercial real estate, Mr. Witt worked for 7 years as a general contractor. The last 3 years were with New South Construction in a project management role where he focused on Student Housing projects that totaled over $110 million dollars. Robert has earned a BBA in Finance (2008) from Kennesaw State University, and a Master of Science in Construction Management (2012) from Southern Polytechnic State University. He is also involved in Urban Land Institute, Atlanta Young Real Estate Professionals, and as a volunteer leader for Younglife.